The Totem is a round steel base plate with a diameter of 99cm (3,25ft) with easy handles and pre-drilled holes for all HD/FD Truss Series. The totem is strong, elegant and the perfect plate for stand alone beams. 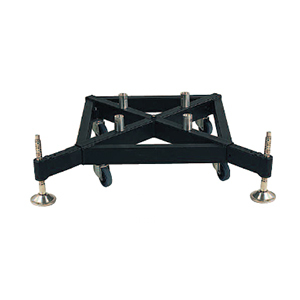 The STAB-01 is a stabilizer bar for FD34 trusses for long outrigger. The TOP34-CH1 is a toppart for 1 Ton Chain Hoists for FD/HD34. 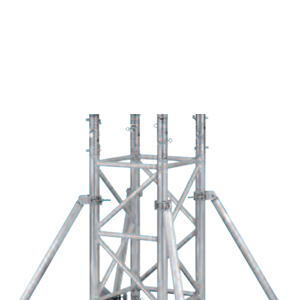 The PLB-34 plate is for FDSystem6mm(0,24in) thick and for heavier truss systems 8~10mm (0,31~0,39in) thick. The PLB-44 is an aluminum plate with fixed welded receivers on it. It is for FD System 6mm(0,24in) thick and for heavier truss systems 8~10mm (0,31~0,39in) thick. 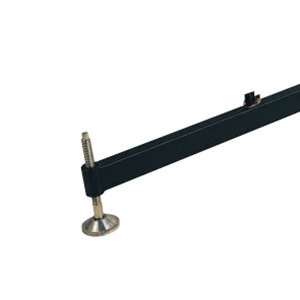 The OUTR-L02-Long Steel Outrigger is for Outdoor Ground Supports, Roofs, Bridges or High Indoor Ground Supports . The OUTR-S02-short Steel Outrigger in black. 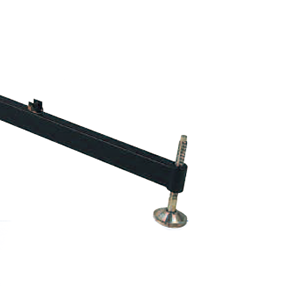 The OUTR-L01-Long Steel Outrigger is for Outdoor Ground Supports, Roofs, Bridges or High Indoor Ground Supports . FD34 Sleeves are available with various attachments and suitable for several truss types, strong and safe with perfect chosen dimensions to combine standard truss elements. 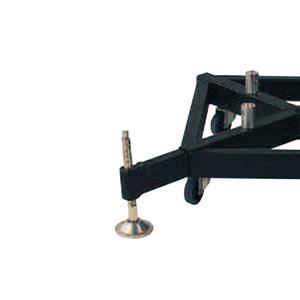 The Base-01 is a professional Steel Base in Black includes wheels and BOB77 with short outriggers or long outriggers in combination with stabilizer bars. TOP35-1Top Section combi motor/manual chain hoist for TD35 Tower (1 Ton).